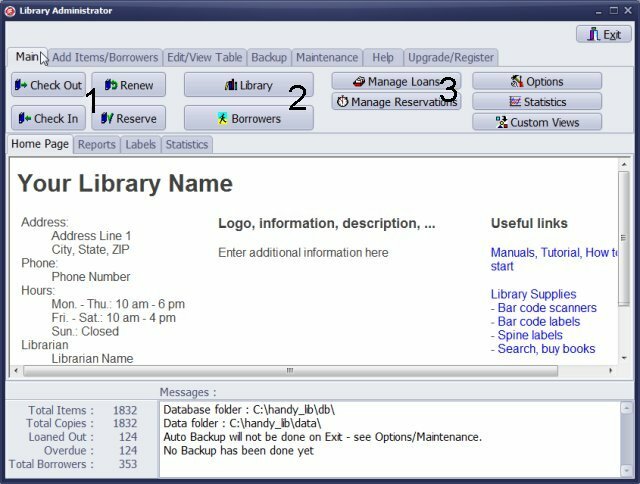 ﻿ Handy Library Manager, library administrator. Click Check Out to process loans. Click Library to open the library main catalog. Click Borrowers to open the borrowers main table.